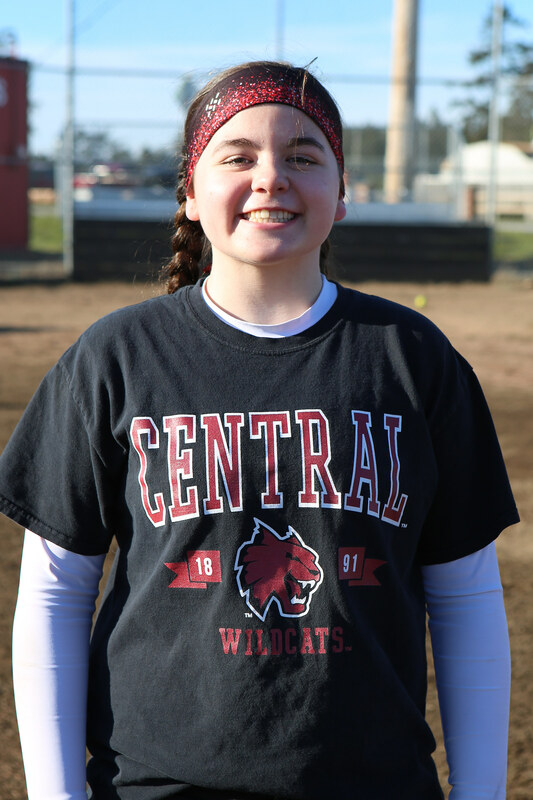 After a lifetime of playing black and blue for her softball sisters, frequently “wearing” pitches like a human ball magnet, the Coupeville High School senior got her revenge Tuesday afternoon. Like the sort of blind that makes Ray Charles seem like he had 20/20 vision. Despite the ball clearing the fence on the fly, and not bouncing over as softball’s answer to Stevie Wonder ruled, Laxton’s career-best blast went from a bases-clearing tater to a two-run ground-rule double. Oh, wait, even with the change, you say Coupeville still beat South Whidbey 18-1? That the Wolves vanquished their Island arch-rivals for the fifth straight time, and haven’t lost to the Falcons since 2015, when Laxton was still in 8th grade? That at 3-1 in league play, Coupeville sits alone atop the North Sound Conference after the first tour through their new foes? Well, OK, fine, I guess we can let this one go. This one time. Anyway, CHS coach Kevin McGranahan, one of many who saw the round-tripper clear the fence, still gave Laxton a game ball for hitting a homer, and her smile stretched from one end of the prairie to the other. 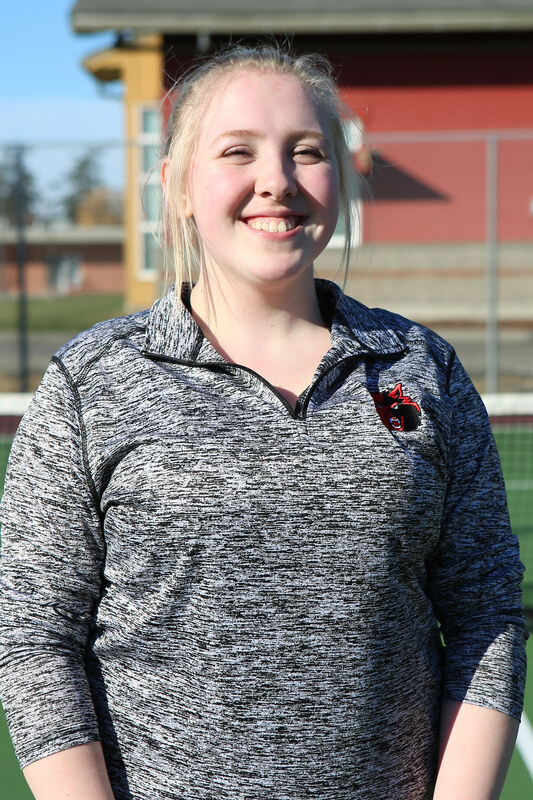 It was a smile worn by every player on the Coupeville roster, as the Wolves came out of spring break swinging from their heels and launching laser shots to every corner of the field. 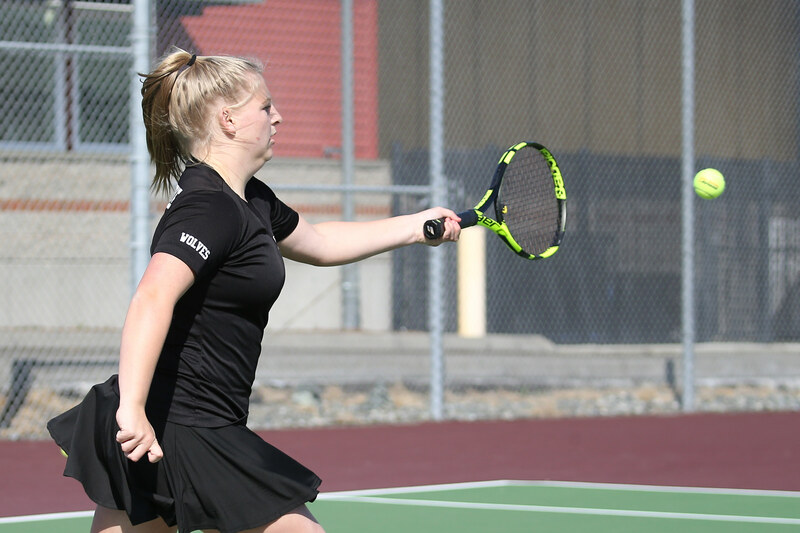 Now 5-5 overall on the season, the Wolves sit a half game up on Cedar Park Christian and Granite Falls (both 2-1) in the race for a league title, while South Whidbey (1-2) and Sultan (0-3) need to play catch-up. Everything worked for CHS Tuesday, from the pitching — Scout Smith scattered three hits across five innings and was never in danger — to the defense, where shortstop Chelsea Prescott was crafting a seasons-worth of web gems in just one afternoon. “Chelsea played an awesome game, with a few great snags on hot ground balls,” McGranahan said. She wasn’t the only one, as Wolf third-baseman Mollie Bailey pulled a ball off of her shoelaces while on the move, then lobbed it to Veronica Crownover at first to beat the Falcon hitter by a half-step. 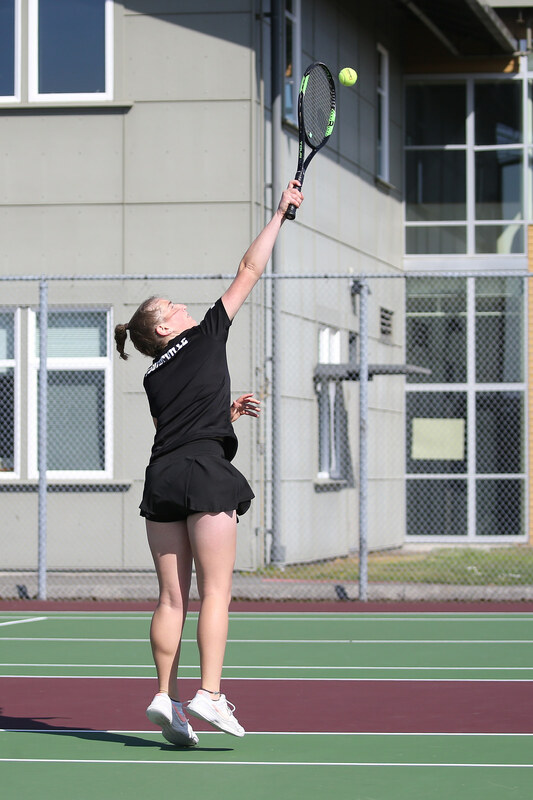 Crownover was miss twinkle toes herself, nimbly pulling off a pair of unassisted force-plays at first on balls which skittered down the line. But while the pitching was solid, the defense was often inspired, and the chatter from the dugout loud and frequent, this was a day for the offense to dazzle. Coupeville launched 13 hits, with Smith, Bailey, and Laxton whacking doubles, Sarah Wright clobbering a triple, and Crownover launching a three-run home-run to left which soared high enough to catch a ride on a passing Navy jet. On that one, even the blind ref knew it was out of the park. The Wolves jumped on the Falcons for a quick three runs in the bottom of the first, and yet almost didn’t get a single one. With Emma Mathusek dancing at second base and two outs, Wright slapped a bouncer to the third-baseman and the inning was 98.9% done. Until it wasn’t, as the throw to first sailed wide, Mathusek streaked home, and Coupeville found itself with new life. “I told you, I told you, never stop running! Never! !” bellowed CHS assistant coach Ron Wright, high-fiving himself with glee in the first base coach’s box as his daughter rolled her eyes ever so slightly. Back-to-back RBI singles off the bats of Bailey and Crownover made the mistake really sting for South Whidbey, and once let loose, the Wolves couldn’t be stopped. An RBI double from Smith and an RBI ground-out by Prescott tacked on two runs in the second, but it was the third inning when things really got hoppin’ in Cow Town. With the wind rumbling across the prairie, even blowing South Whidbey pitcher Melody Wilkie off the rubber at one point, it was prime weather to light a fire using the sizzlin’ Wolf bats. And they did, as 14 batters strode to the plate in the third, with eight of them eventually coming around to tap the plate. Bailey, whose family has lived on the prairie since somewhere back around the time of the Crusades (give or take a year or two), started things off by lofting a tricky fly ball high into the swirling air. Playing like she was working a pool table, stuffing money into her back pocket while fleecing out-of-town rubes, she banked the ball off a passing wind gust, and it crashed in for an artfully-dumped double. Walks to Crownover and Mackenzie Davis juiced the bags, and then Laxton went yard. No matter what the ump says. Not that the miscall heard round the prairie ultimately mattered, as it was the kind of joy ride where Laxton ended up coming back around to earn a bases-loaded walk in the same inning, stretching the lead out to 13-1. Trying his best to keep the score reasonable by limiting how many bases his runners took, McGranahan was tripped up a bit by his big bashers. With Smith and Prescott aboard after ripping fourth-inning singles, Wright cranked a grass-burner which sliced off part of the third-base bag as it shot down the left-field line. With their catcher chugging hard into third, both runners had no choice but to go home. A batter later, with Bailey punching a double to center, the sophomore slugger rolled into second only to discover Wright had stayed locked on third at her coach’s request. That kept Wright, Laxton, and Bailey tied with three RBI apiece on the afternoon, drawing a brief “hey, now!” from Bailey, and then a grin. Crownover, for her part, was having none of this, and went to the plate fully intent on collecting RBI’s by any means necessary. Which meant, in this case, slapping a one-way ticket on the softball and sending it off to shop at the grocery store way up the road. By the time the ball bounced back to Earth, the Wolf masher had her second home-run ball to add to the Crownover mantle this season, and a team-high four RBI. Bailey (1B, 1B, 2B) and Smith (1B, 1B, 2B) led the hit parade, with Mathusek (1B, 1B), Crownover (1B, HR), Wright (3B), Laxton (“2B”), and Prescott (1B) all collecting base-knocks. Davis and Izzy Wells both walked twice, while Coral Caveness, Audrianna Shaw, and Chloe Wheeler also saw action. After awhile, the games start to blur together into a familiar pattern. 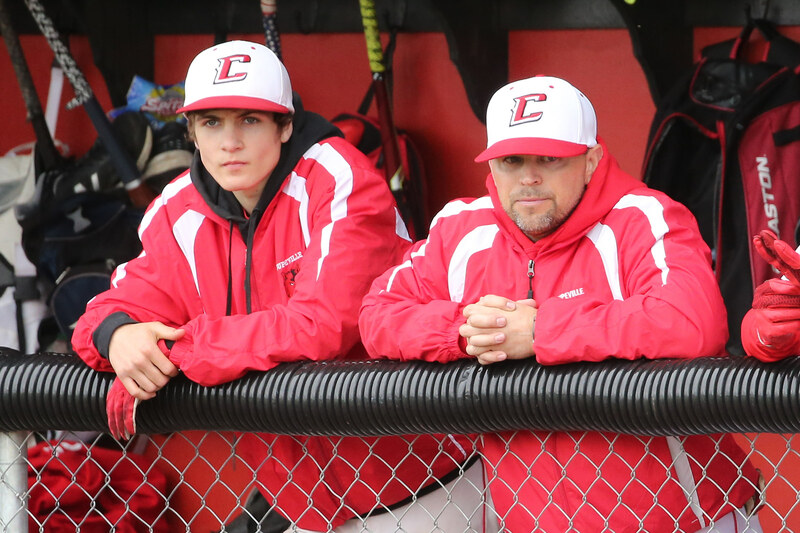 The Coupeville High School baseball squad — young, hungry and scrappy — hangs with more-seasoned teams three, sometimes four or five, innings. But, ultimately, a season-long offensive funk makes life tough, and when you’re hanging by a thread all the time, any mistakes are greatly magnified. It’s a scenario which played out one more time Monday afternoon, as visiting South Whidbey rode a 2-hit, 14-strikeout performance from pitcher Ethan Petty to send Coupeville to a 12-0 loss. The Island rivalry rumble, the first in a three-game set this week between teams headed in opposite directions, drops the Wolves to 0-7 in North Sound Conference play, 0-11 overall. South Whidbey, which is a half step behind Cedar Park Christian in the battle for a league title, improves to 9-1 in league, 12-1 overall. That’s the best start in program history. Monday’s game, which played out partially in a driving rainstorm, was just 3-0 through four innings, but even then, it was largely a one-sided affair. Petty retired the first 11 Wolf hitters, whiffing nine of them, and wasn’t touched until CHS pitcher Dane Lucero looped a two-out single which dropped in over the head of a backpedaling Falcon infielder. The Falcon junior slightly raised an eyebrow at seeing his perfect game go bye-bye, then immediately rebounded with strikeout #10, effectively ending any hopes the Wolves might have had. With a little help from catcher Dexter Jokinen and shortstop Kody Newman, Petty gunned down nine straight batters after Lucero’s base-knock. Newman went to his knees to spear a liner off of Daniel Olson’s bat, while Jokinen threw off his mask and scrambled to haul in a high, arcing Bryce Payne foul ball right in front of the chain link fence. Down to their final out, the Wolves finally put their second runner aboard, when CHS catcher Gavin Knoblich beat out an infield chopper for a single. 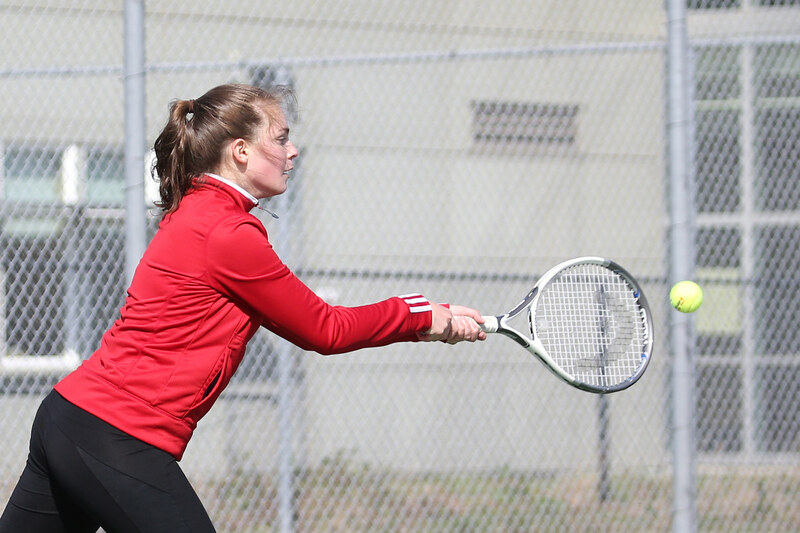 But that was it for Coupeville — two hits spaced far apart, no walks, and little offensive momentum. Lucero kept his team in the game for the first hour, scattering hits and coming up big to blunt Falcon rallies in the second and fourth inning. South Whidbey got the only run it would need when first-baseman Brent Batchelor tore the hide off the ball with a booming RBI single to left in the top of the first. The Falcons picked up two more runs in the third, courtesy a bases-loaded walk and an RBI ground-out, but it could have been worse. Twice, Lucero danced with the devil in the pale moonlight and lived to tell about it, escaping identical jams. He had runners at second and third with two outs in both the second and fourth, but coaxed a fly-out to center-fielder Hawthorne Wolfe to end the first trouble, and a ground-out to Shane Losey to snuff the second. The dam finally broke in the top of the fifth, as the Falcons jumped on a rash of Coupeville errors to plate four more runs. 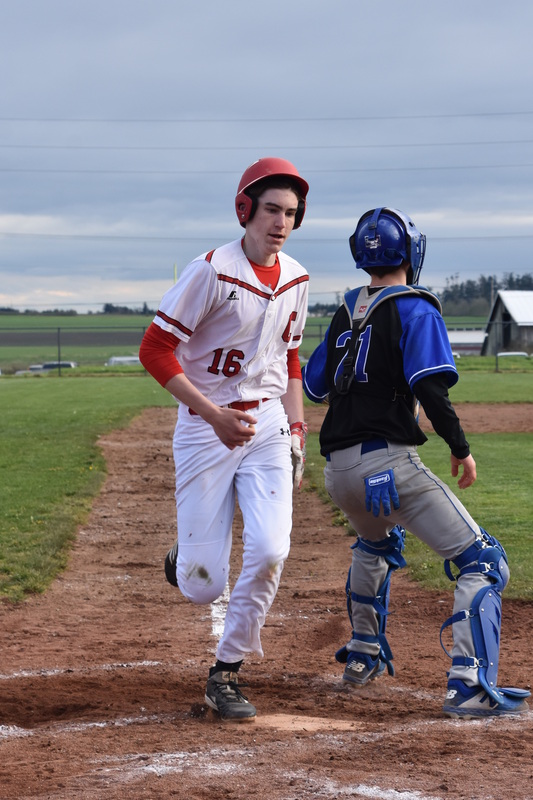 South Whidbey tacked on yet another five across the final two innings against the Wolf bullpen, but there were a few bright spots for Coupeville in the late going. 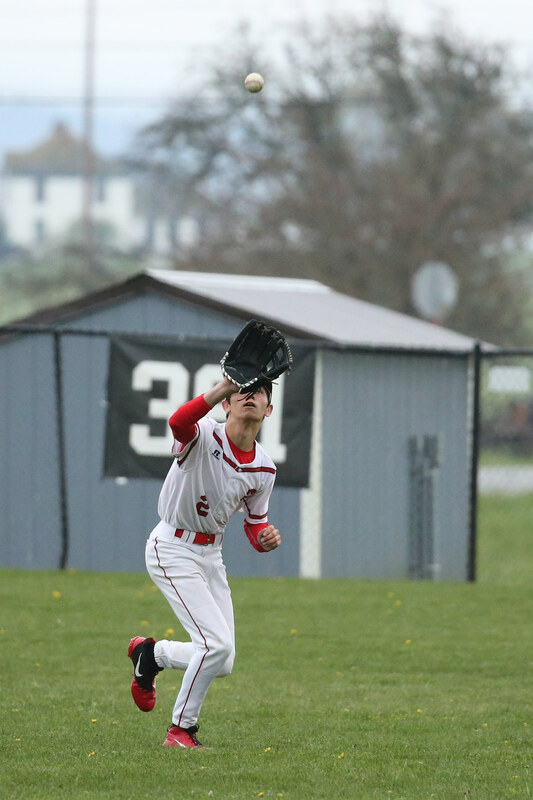 Wolfe, who made solid contact at the plate in all three of his appearances and was the lone CHS player to not whiff, had a nice over-the-shoulder snag while on the run in center. His fellow freshman, pitcher Cody Roberts, picked up the other two outs in the seventh inning by flinging strikeouts. The final out came on a nasty slider which dove with an unexpected ferocity, causing the Falcon slugger to rip out most of his back muscles in a vain attempt to catch up with the pitch.